These days it’s easy to get swept up by technology and let it rule your life. The problem is it doesn’t help your health and well being. It’s important that teens and adults alike get their daily exercise. As a parent, it’s your job to make your teen aware of how much screen time they’re having on any given day. Introduce the idea of competitive sports and exercise as a way to change up their daily routine. Get them excited and motivated to increase their heart rate and challenge themselves. 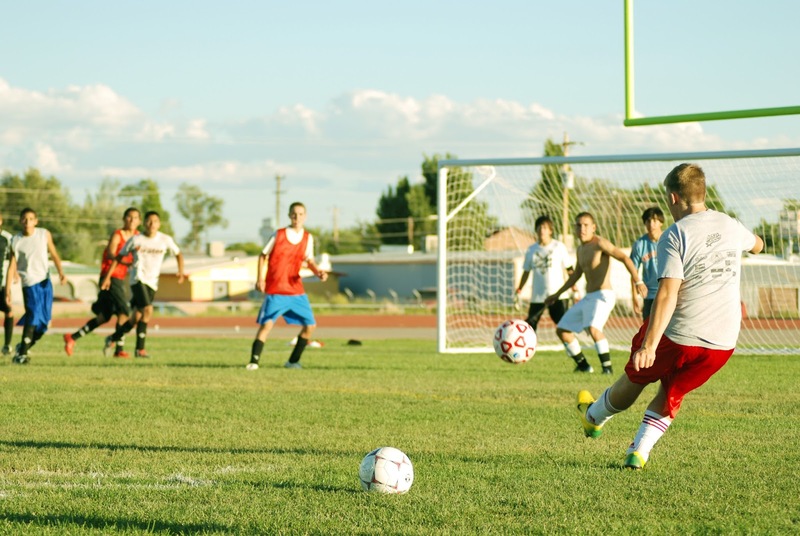 See how to unplug your teen and introduce them to a new competitive sport. Start by scheduling time at home when your teen is allowed to be connected to his or her devices. Slowly begin to wean them off of their obsession with social media. Show them other activities that will stimulate their mind and work their body. It’ll take time to change their habits, but stick with it and remind them of all the benefits that come with playing sports. Go in the backyard with them to toss a ball around or head to the gym as a family to set a good example. Your next step is to research competitive sports and come up with ideas that interest your teen. Make a list and start crossing them off as you read about each one. Be mindful not to push them into a sport because you like it. Guide them, but let them have the final say in the decision. Research the rules, requirements and determine if they’ll be best at participating in a team sport or on an individual basis. Competition is healthy for your teen, and it’ll teach them to be strong and confident. You can, for example, get involved with stunt scootering or, if that doesn’t suit them, find another sport such as skateboarding. Once you’ve found the ideal sport, let it evolve into a competitive passion. Invest in the proper, high-end equipment, such as Madd MGP or Grit Stunt Scooters, and make sure they invest a good amount of time practicing. If your teen’s enthusiasm starts to dwindle, encourage them to stick to the sport they’ve picked. Your teen needs to learn and understand that becoming great at a sport takes time and dedication. Once you’ve selected the competitive sport with your teen, it’s important they practice. Support them in the process and help get them around to attend practices and competitions. Practicing is also a great way to encourage your teen to unplug from technology and be in the moment. You won’t have to worry about them playing on their phone as much when they’re involved in athletics. It’s important your teen unplug once in a while and rest their mind. Show them how much fun sports are as an alternative to screen time. Do you have tips to share on how to unplug your teen and introduce them to a new competitive sport? Share them in the comments below!